Turkey has vowed to reveal all details about the killing of journalist Jamal Khashoggi, after Saudi Arabia admitted for the first time he had been killed in its consulate in Istanbul. “Turkey will never allow a cover-up,” a ruling party spokesperson said. 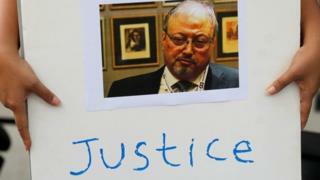 Saudi Arabia suggested on Friday Mr Khashoggi, a prominent Saudi critic, had died in a “fist fight”. Turkish officials previously said he had been deliberately killed inside the consulate, and his body dismembered. Earlier this week, unnamed Turkish officials told media outlets they had audio and visual evidence to prove this. The Saudi kingdom has come under intense pressure to explain Mr Khashoggi’s disappearance after he entered the Istanbul consulate on 2 October to seek paperwork for his forthcoming marriage. Until Friday, it had denied knowledge of his whereabouts. Turkish police and prosecutors have been searching the consulate as well as the consul’s residence this week for evidence of what unfolded. On Friday they widened their search to a nearby forest, where unnamed officials believe his body may have been disposed of. Is Germany's new ruling party chief Merkel 2.0?